Now that it’s ever so slightly cooler outside, it’s nice to spend the better part of a Sunday morning making bread. Baking a yeast bread makes me feel productive, even if I’m really doing almost nothing at all. Craig Kominiak’s Whole Wheat Loaves were this weekend’s TWD project. This wheat bread has a kiss of honey and malt extract (I used the Eden Foods malt syrup). It’s slightly sweet, soft and wholesome…not bland, dense and healthy (if you know what I mean). It’s good for sandwiching and for toasting. Now that I say that, it would no doubt make an awesome grilled cheese. That’s avocado toast up top…one of my favorite toast applications…and a turkey sandwich down below. This is how wheat bread should be. I’m glad that the recipe is so unintimidating…there’s no excuse for me to not make it often. For the recipe, see Baking with Julia by Dorie Greenspan or read Michele’s Veggie Num Nums and Teresa’s The Family That Bakes Together. Don’t forget to check out the rest of the TWD Blogroll! I LOVE avocado toast! possibly the best use of an avocado and toast, ever! OMG, how awesome does your slice look with the avocado spread! The avocado toast is the best idea! Gorgeous pics! The avocado spread looks wonderful and your sandwich shows off just how perfect this bread is for, well, everything! Your bread looks great! And the avocado spread is mouth-wateringly beautiful. I love that this made 2 loaves so I could stick one in the freezer for later. Ohhh, your sandwich fixing look scrumptious- avocado, so simple and so fine! I am not sure which has me drooling more – the avocado toast or the sandwich. Beautifully done! Hubby would love the avocado sandwich. Now I would love a grilled ham and cheese! Perfect bread. Love your sandwich suggestions. Great post. Beautiful photos! 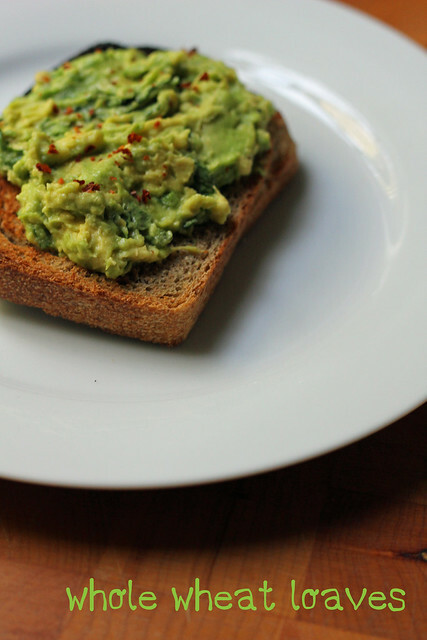 Avocado on toast is one of our morning rituals – that and a cup of joe! Love avocado! That looks amazing! I would have never thought of putting avocado on toast in the morning (I usually pick sweet over savory) but man, that looks goooooooooooood! I agree, there is no reason not to make this bread all the time. It was killer! 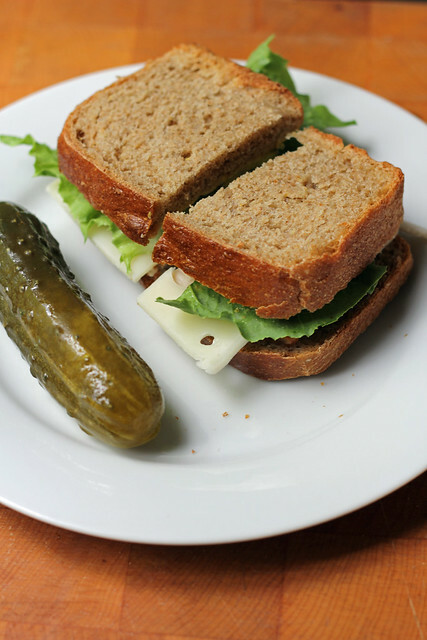 your sandwich ideas look delicious, especially the beautiful avocado green!